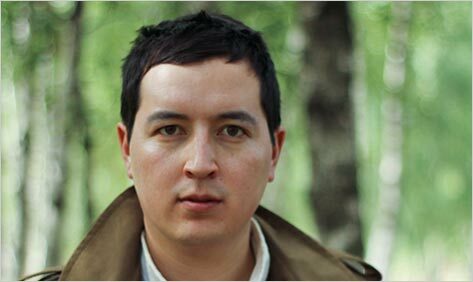 Editor’s Note: Justin Go is the author of The Steady Running of the Hour, a 2014 Discover Great New Writers selection. In Barnes & Noble stores you’ll find Hour described as an “Adventure story, war epic, love story, mystery;” inviting readers to “Travel between present-day Europe and Downtown Abbey-era England, to the battlefields of WWI France, and Mount Everest in the 1920s in this cinematic debut.” This week, Justin artfully offers his own story of how Everest has inspired him as a student, climber, and writer. The first time I read about Mount Everest, I was seventeen and I picked up the copy of Into Thin Air my mother had borrowed from the library. I started the book in the afternoon and read late into the night. To a teenager in a sunny suburb of Los Angeles, the world of howling blizzards, treacherous glaciers and altitude sickness at 29,000 feet was spellbinding. Nothing could have been more remote from my surroundings. I loved it at once. It was only after I finished the book that I realized I’d been absorbed by something more than the climbing disaster. There was a lingering question I couldn’t answer. Why would people risk everything to climb a mountain for no tangible benefit, when they knew it could bring them only discomfort or even death? My Everest fascination stayed with me through college, but it seemed just another strange obsession, like the Great War, whose images of mud and trenches had enthralled me ever since I read All Quiet on the Western Front in high school. Things only came together when I started writing fiction. One day, reading the letters of the war poet Wilfred Owen, I thought about how the climbers of 1920s Everest expeditions had nearly all shared in the trauma of the Great War. For all their differences, the two events seemed uncanny reflections of each other. They had both involved struggle and profound tragedy, but they had also led to moments of rare fellowship, even beauty. Suddenly I had so many questions. Why would men who had spent years fighting choose to go on an expedition that was itself so much like war? And how had such extreme experiences marked these men’s personal lives, and the lives of the people they had loved? I began plotting a novel. The amount of research needed seemed overwhelming. Over time it led me to dozens of libraries, to the archives of the Royal Geographical Society and the Alpine Club in London, and ultimately to Everest itself. I reached Everest base camp on a blindingly sunny October day. It was cold, dry and windier than anywhere I’d ever been. But I couldn’t take my eyes off the summit above. I watched the plume of snow streaming over the peak from Nepal into Tibet. For the first time in my life, I wanted to climb the mountain, and I wanted it badly. It was crazy, I knew, and I doubted it could ever happen. But I finally understood.